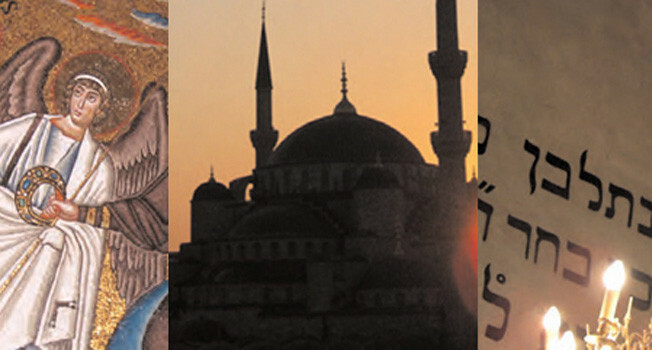 Art of Faith I is a visually sumptuous series filmed in HD exploring the architecture and art of Judaism, Christianity, and Islam The three hour-long films, presented and narrated by the broadcaster John McCarthy, visit many of the greatest and most significant religious buildings of the world. Judaism visits one of the earliest synagogues on the mountain fort of Masada, the Gothic Old-New Synagogue in Prague and nineteenth-century houses of worship in Budapest, Liverpool and New York, as well as Frank Lloyd Wright’s masterpiece Beth Sholom near Philadelphia. Locations for Christianity include Saint Catherine’s monastery at the foot of Mt Sinai, San Vitale in Ravenna, the cathedrals of Durham and Chartres, St Peter’s Basilica, and the beautiful chapel decorated by Henri Matisse in Vence, France. Islam includes the Dome of the Rock in Jerusalem, mosques in Kairouan and Cordoba, both the Haghia Sophia church and the Blue Mosque in Istanbul, the Taj Mahal at Agra and the madrassas of Samarkand. The architecture and art of each building is brought alive through the eyes of a guide who knows it intimately. Rabbis, priests and imams, congregation members and art historians explain the history of these sacred places and, in many cases, their importance today as places of lived faith. As viewers enter into the lives of these people, they gain a deeper understanding of the three Abrahamic faith traditions as well as the history and art of these great and glorious buildings.